Put your choice of thawed pork, chicken, turkey, or wild game in a crock pot on medium heat. Add 1/2 cup water and let it slow cook until the bones can be easily removed from meat. Remove bones, drain fat and juice. 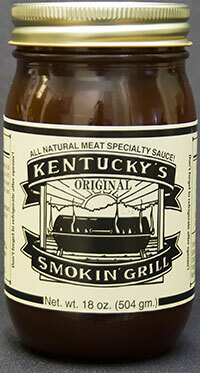 After draining, add Kentucky’s Smokin’ Grill Sauce while stirring with fork. Done! Your Meat Sauce is Excellent! We just finished using the Smokin' Grill concentrate give to us as a gift. We look forward to trying your other products because the meat sauce was excellent!